2 flat covers, with a flexible flat spine on top, sandwich the pages of this book. Then the 2 spines are laced together to bind it all together. Here are the cutout pieces for the front cover. 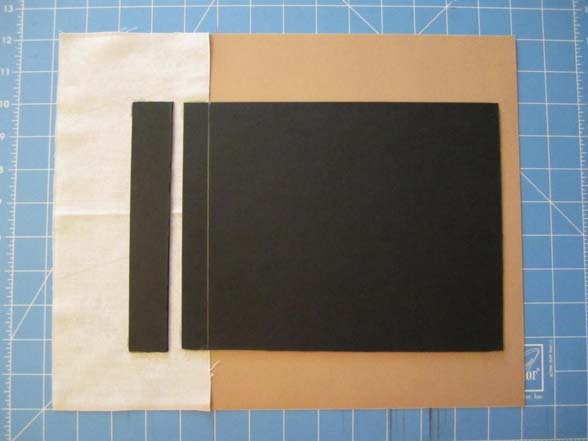 The black material is illustration board- a thick, but slim book board. The little rectangles of illustration board are both spines needed for this project. 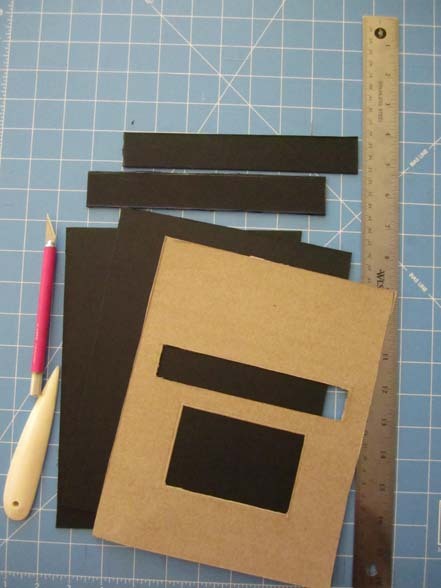 The thin cardboard with the cutouts, (along with the same-sized piece of illustration board) sandwiches two illustrations into the front cover. 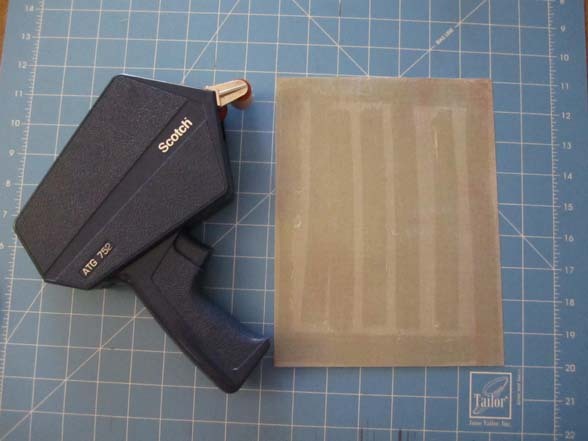 I am using a dry, thin, double-sided adhesive for this project, called ATG tape, and am applying it with an ATG gun. ("ATG" stands for "adhesive transfer gun") I've used this adhesive in making a few mini photo folios, and it sticks really well! It isn't as messy as wet adhesives. 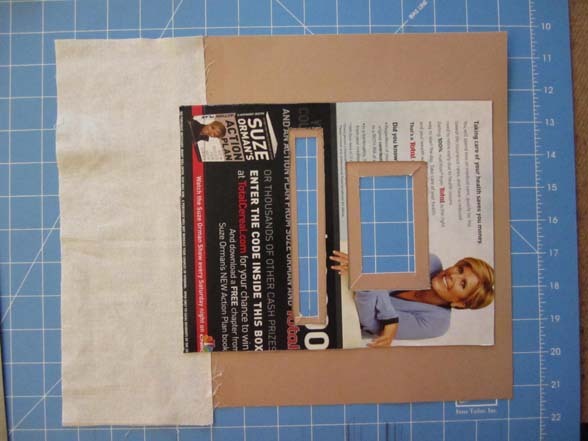 Another plus of using a dry adhesive is you don't have to worry about water-saturated papers and fabric buckling in the finished product. Acid-free ATG tape is available, and is what I am using here. 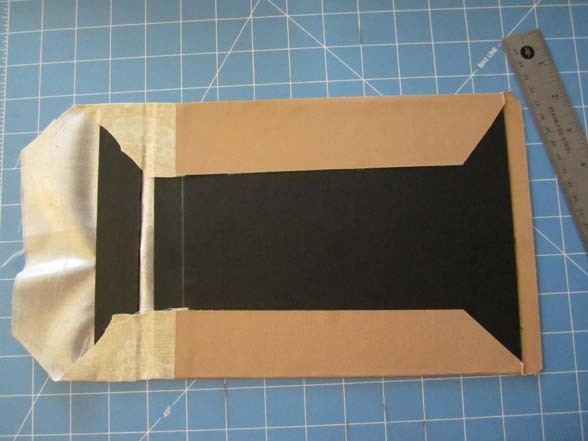 This is the back cover pictured here- with the cloth spine, paper cover, and book board materials all lined up, and ready for gluing. 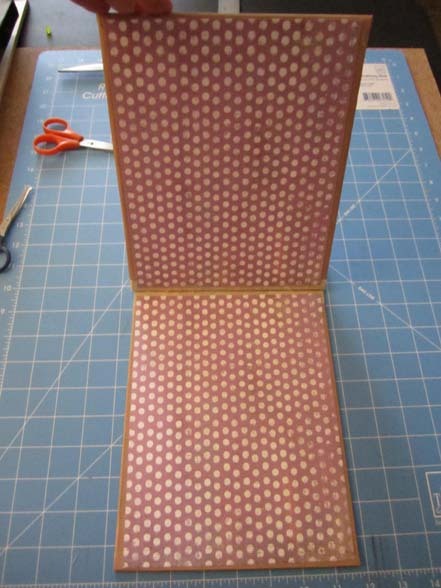 This is the back cover again, in process of gluing and folding the coverings over the book board and spine. 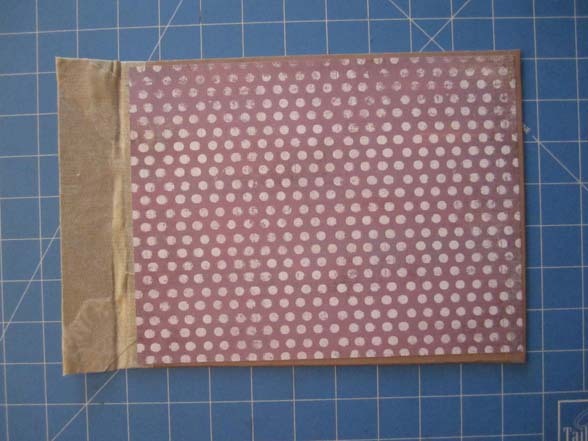 Here is the inside of the back cover, with a cover paper glued over the folded edges. 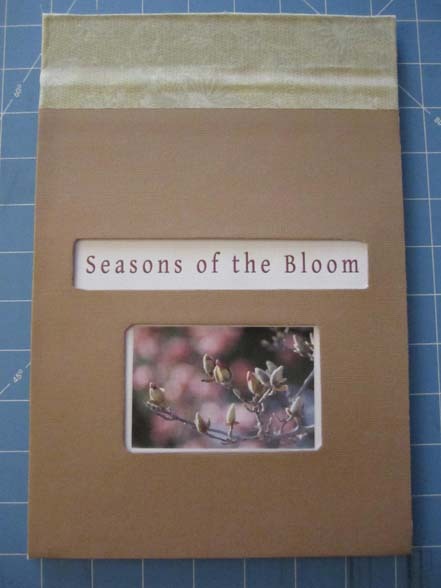 Finished book covers, ready for their pages! Wow, it's really starting to look like a book! Thanks for sharing. "There's a cow on the roof!!" Little Girl with a BIG Stick!